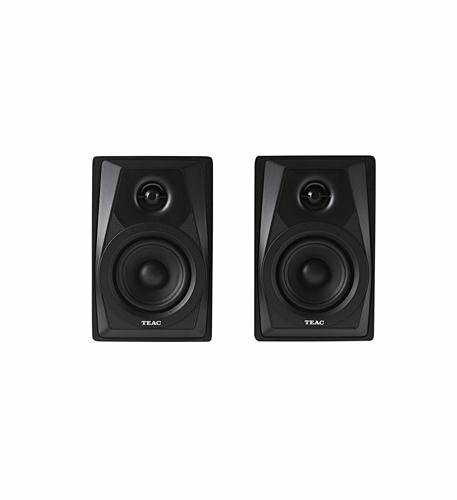 Sold as a pair, the black Teac LS-M100-B 2-Way Powered Monitor Speakers can be used either as professional monitoring speakers or home bookshelf speakers. The built-in amplifier outputs 14W per speaker to their 3" woofer and 1" dome tweeter. It has a rear volume control, an analog RCA input, and an ⅛" input. If you have any questions about this product by Teac, contact us by completing and submitting the form below. If you are looking for a specif part number, please include it with your message.